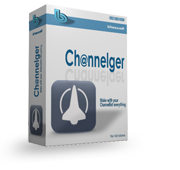 Ch@nnelger is the powerful channel list editor for such formats as ProgDVB, DVBDream, DVBViewer, Enigma2, NeutrinoHD and Spark. Simple interface and unique features make it the leader among similar programs. Learn more. Titledrome Professional overlays external subtitles onto the video displayed on the Windows desktop. As video source you can use any software video player, IPTV, online video, etc. 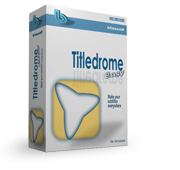 It is the most functional version of Titledrome. Learn more. 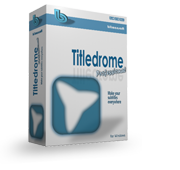 Titledrome Easy overlays external subtitles onto the video displayed on the Windows desktop. As video source you can use any software video player, IPTV, online video, etc. Learn more. 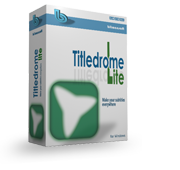 Titledrome Lite is a free-of-charge version of Titledrome with limited functionality. Learn more. SoftCamEditor is intended for editing SoftCam.key files and v_keys.db files used by emulators of TV crypt systems as list of keys. Learn more.